Welcome to the Carr House page of the website, this is currently under construction. 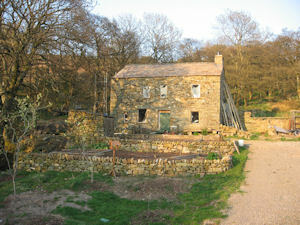 Carr House, which is situated in the Mallerstang Valley, is an old dwelling that dates back to the 1600's. It was purchased in 2002 from a local farmer. The plan was to combine new technologies with old style housing to provide a zero carbon footprint and a totally sustainable house within commuting distance to Eden Recycling. 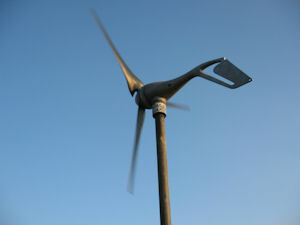 Carr House is ideally located for alternative energy production. 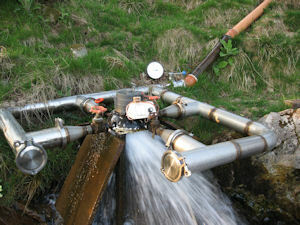 Carr Beck, which runs past the house, provides enough water to power a micro hydro-electric power plant. In addition, the exposed location is ideally suited for wind turbines. When I purchased the property it did not have planning permission for a dwelling, however, the local planning office assured me that permission was not required for repairs to be made to the building. Unfortunately, in 2006, the planning department issued enforcement action stating that the building should be demolished. Since then I have been battling with Eden District Council to have this decision reversed and gain approval for Carr House to become a dwelling. I have been overwhelmed by the amount of public support I have received and would like to take this opportunity to thank all those who have written letters of support to the planning department. The Public Enquiry was held on the 2nd and 3rd of September and a number of local residents attended to give support. The outcome of the decision can be read here pdf, but it was lost ,and we now must partially demolish this old house! !